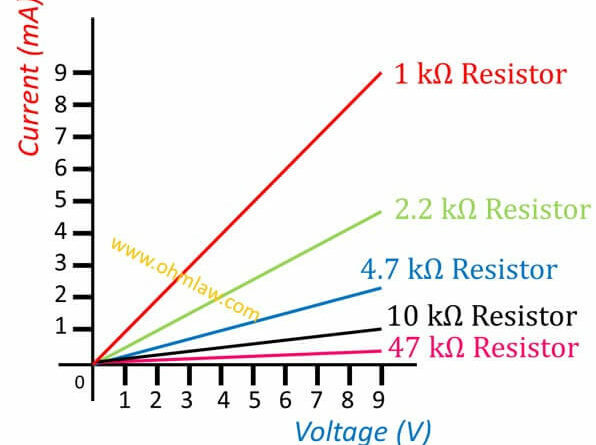 Ohm’s law graph is plotted between current and voltage. 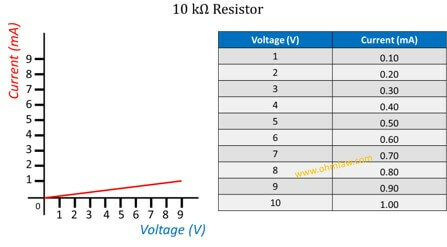 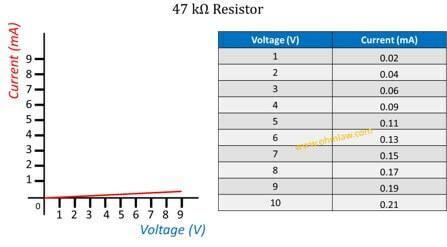 It explains the relationship between voltage and current across any resistor. 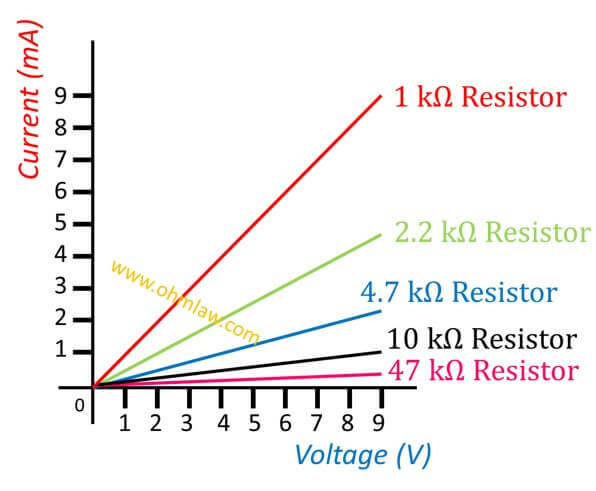 Today you’ll learn the behavior of graph for 10 ohms, 1 kΩ, 10 kΩ and 47 kΩ resistors. 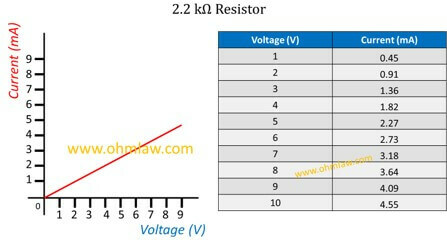 The slope of the curve decreases with the resistance. 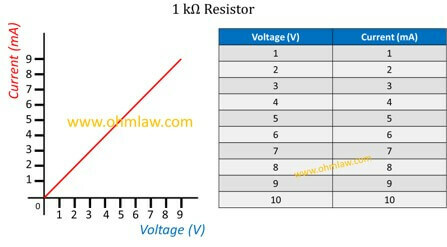 However, all plots are still straight lines.